James (Jim) Callaghan was British Labour prime minister from 1976–79 and one of the few politicians to hold all four great Offices of State—home secretary, foreign secretary, chancellor and prime minister. A moderate chosen as Labour leader in the hope that he might unify the fractured party, his premiership was characterized by a failing economy and crippling trade union action. In 1977 Callaghan embarked on a pact with the Liberal party to ensure his minority administration could continue. In 1979 his government became the first to lose a vote of confidence in the House of Commons for over 50 years. Leonard James Callaghan was born on 27 March 1912 in Portsmouth on the south coast of England, the son of a Chief Petty Officer in the Navy. He left school at the age of 14 and was a tax officer at 17, while heavily involved in trade union politics. He joined the Labour Party in 1931 and by 1937 was a full-time trade union official. During World War II he served with the Navy, becoming a Lieutenant in the Royal Naval Volunteer Reserve, and in 1945 he entered the House of Commons as the member for Cardiff South (later Cardiff Southeast), the constituency he would serve for the duration of his career. He was briefly parliamentary private secretary to the under secretary of state for dominion affairs and then served for 3 years until 1950 as parliamentary secretary to the ministry of transport. During his time here he was active in implementing legislation to introduce zebra crossings and cats’ eyes. He was then made parliamentary and private secretary to the treasury until the Conservative general election victory of 1951, before acting as opposition spokesman on successively transport, fuel and power and colonial affairs. He was appointed shadow chancellor in 1961, and became chancellor of the exchequer following Harold Wilson’s Labour victory at the 1964 general election. As chancellor, Callaghan provoked controversy by introducing new corporation and capital-gains taxes. In addition, Callaghan spoke out strongly against devaluing sterling and when Wilson, faced by mounting economic pressure, gave permission for devaluation in Nov. 1967, Callaghan resigned. He was subsequently appointed as home secretary, guiding the Race Relations Act through parliament in 1968 and sending troops into Northern Ireland in 1969. His firm defence of trade unions in the face of proposed reforms earned him the nickname ‘Keeper of the Cloth Cap’. He served as home secretary until Edward Heath’s Conservatives came to power in 1970 and was shadow home secretary until 1971 when he became opposition spokesman for employment. He was appointed shadow foreign secretary a year later. Wilson returned as prime minister in 1974, with Callaghan holding the office of secretary of state for foreign and Commonwealth affairs. In this post he played an integral part in re-negotiating British membership of the European Economic Community. Wilson announced his shock resignation in March 1976, leaving the party in disarray. With the economy in crisis and the party split, six candidates put themselves forward to succeed Wilson. Callaghan was regarded as the least divisive and after a third ballot he defeated his eventual successor Michael Foot to become prime minister and Labour leader. Callaghan’s premiership was plagued by difficulties. He had to turn to the IMF to resolve a sterling crisis but the IMF demanded reduced spending and pay constraints in return. The unions and left wing of the party were outraged and, at the subsequent Labour conference, supported increased government spending. In addition, the unpopular government lost numerous by-elections and this combined with a succession of defections left Callaghan as head of a minority government. In March 1977 he struck up a deal with David Steel’s Liberals, the Lib–Lab Pact, which ensured that the Liberals would back the government in the event of a confidence motion, but the deal ended in Aug. 1978. Tensions in Northern Ireland were heightened during Callaghan’s administration. Extra troops were sent to the province during 1976–77 and a year later the number of Northern Irish MPs was increased from 12 to 17. However, terrorism and sectarian violence did not abate and in March 1979 Airey Neave, Conservative spokesman on Northern Ireland, was murdered by the Irish Republican Army. In addition, Callaghan’s relationship with the unions continued to deteriorate. As wage increase limits were imposed, the first ever national fire-fighters’ strike took place in late 1977, and by the end of 1978 Britain was crippled by a succession of strikes that came to be known as ‘the winter of discontent’. Ford workers, oil-tank drivers, grave diggers, water workers, sewerage staff, refuse collectors, ambulance and hospital workers, railway workers and large parts of the Civil Service all stopped work. 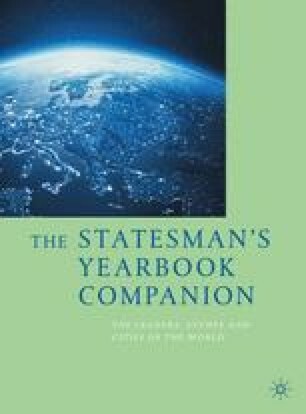 On returning to the crisis from abroad, Callaghan commented that ‘I don’t think other people in the world would share the view that there is mounting chaos’. This was turned into a popular headline ‘Crisis? What crisis?’ and Callaghan came to be seen as out of touch. A vote of confidence was called in the Commons for 28 March 1979. The Scottish National Party withdrew its support from the government over the issue of devolution and Callaghan lost the no confidence motion by one vote. On the same day he called a general election for 3 May. The Conservatives, under Margaret Thatcher, won with a majority of 43. Callaghan stayed as leader of the Labour party until Oct. 1980 and was then succeeded by the left-winger Michael Foot. Callaghan became a rather distant figure as the left-wing dominated the party for much of the 1980s and he left the Commons at the 1987 election. He was made a life peer shortly afterwards, becoming Lord Callaghan of Cardiff, and he remained active in the Lords for many years. He wrote numerous books, including his memoirs, and died on 26 March 2005.